Children who claim to remember a previous life have been found in many parts of the world, particularly in the Buddhist and Hindu countries of South Asia, among the Shiite peoples of Lebanon and Turkey, the tribes of West Africa, and the American northwest. Stevenson has collected over 2,600 reported cases of past-life memories of which 65 detailed reports have been published. Specific information from the children's memories has been collected and matched with the data of their former identity, family, residence, and manner of death. Birthmarks or other physiological manifestations have been found to relate to experiences of the remembered past life, particularly violent death. Writing as a specialist in psychiatry and as a world-renowned scientific investigator of reported paranormal events, Stevenson asks us to suspend our Western tendencies to disbelieve in reincarnation and consider the reality of the burgeoning record of cases now available. This book summarizes Stevenson's findings which are presented in full in the multi-volume work entitled. 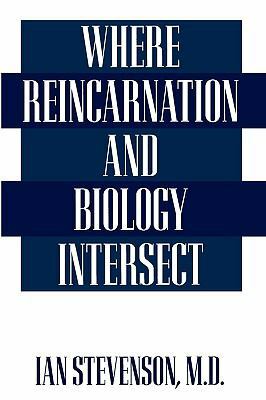 Reincarnation and Biology: A Contribution to the Etiology of Birthmarks and Birth Defects, also published by Praeger.Stevenson, Ian is the author of 'Where Reincarnation and Biology Intersect', published 1997 under ISBN 9780275951894 and ISBN 0275951898. Loading marketplace prices 92 copies from $44.06 How does the rental process work?